To update to iPhone OS Firmware 3.1.2, all you will have to do is to connect your iPhone with your computer via usb and start iTunes. You should now see a message as shown below. Simply click on “Download and Install” button to get on to the new iPhone OS 3.1.2 firmware. Also included is a new carrier update (.IPCC) file for AT&T customers which brings the carrier version number to 5.6. Note: Do not update your iPhone to OS 3.1.2 yet if it is jailbroken or unlocked on firmware 3.1. Wait for the new jailbreaking and unlocking tools before updating your device or you may loose the capability to jailbreak or unlock your device in the future. You have been warned! UPDATE 1: PwnageTool 3.1.4 has been released which can Jailbreak iPhone on 3.1.2 while keeping its baseband intact to 04.26.08. Complete step-by-step jailbreaking guide for Mac OS X can be found here and for Windows here. Unlocking guide for iPhone 3G and 3GS on 3.1.2 firmware can be found here. If you don’t care about the unlock and just want to jailbreak your iPhone on 3.1.2, then you can also alternatively follow the guide posted here to jailbreak your iPhone with blackra1n in just 30 seconds. UPDATE 2: Follow the step-by-step guide posted here to Enable Tethering on iPhone 3.1.2 Firmware. 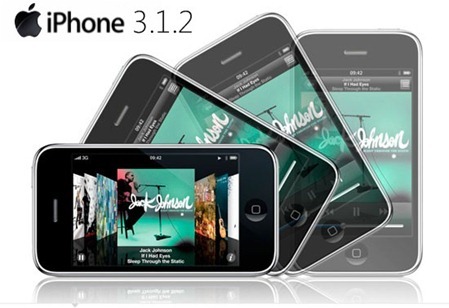 UPDATE 3: iPhone 3.1.3 firmware has been released and can be downloaded from here. iPhone 2G and iPod touch 1G/2G(older models) can be jailbroken and unlocked(iPhone 2G only) on the latest iPhone 3.1.3 firmware. Follow the step by step guide posted here or here to jailbreak/unlock iPhone 2G, and here for iPod touch 1G/2G on 3.1.3 firmware. UPDATE 4: Redsn0w 0.9.4 is LIVE! Download links and jailbreaking instructions can be found here. UPDATE 6: iPhone OS 4 has been announced. Download iPhone OS 4 Beta Developers Preview for iPhone and iPod touch here. Jailbreak iPhone OS 4 Analysis can be found here. i’ve iphone 3gs n i upgdare its ver. from 3.1.2 to 4.0.2. now how can i unlock my phone again. Hi plse excuse my intrusion but i read that you could jailbreak someones phone for a small fee, i have a iphone 3gs with 4.0.2 i need3.0.2 so i can jailbreak and downloaw multitasking (palm pre type) if you can help me my email is newlifelawn1@yahoo.com name is Robert. am i the only one who doesnt find the .ipsw – file when i unzip? happens to me too what do i do?? I tried changing the file name but it does not change the extension. I still cannot use it as .ipsw file. Please help! !